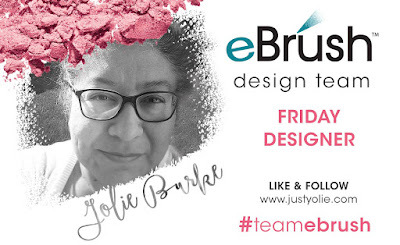 Happy Friday, this is Yolie from the Team eBrush with today's project. This month we are featuring Teresa Collins Wanderlust Collection. I absolutely in love with all the gold!! 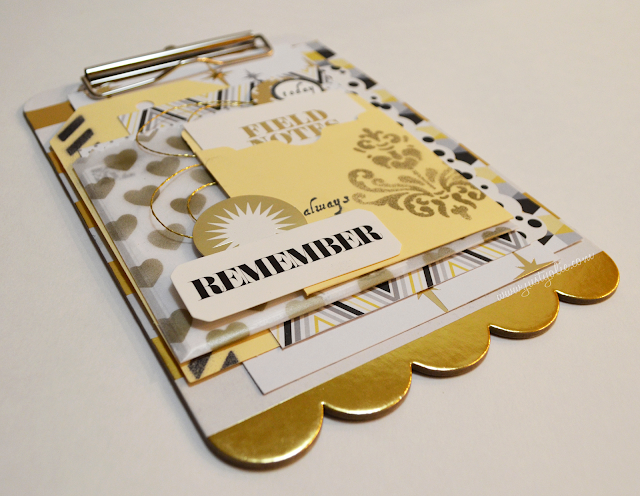 Today I'm sharing journal clipboard. 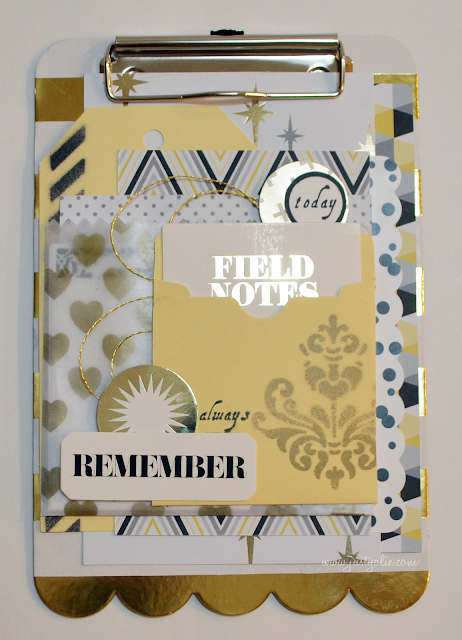 In addition to the Wanderlust Collection, I used Teresa Collins' stencils, tags, library pocket, glassine bag and her retired stamp set Everyday Moments; a black and gold Sharpie; the eBrush. 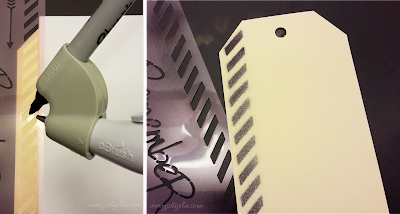 I first took the manila tag and used the black Sharpie to eBrush the edge. Next, I used the hearts stencil and the gold Sharpie on the glassine bag. Lastly, I used the damask stencil and eBrushed the library pocket with the gold Sharpie. 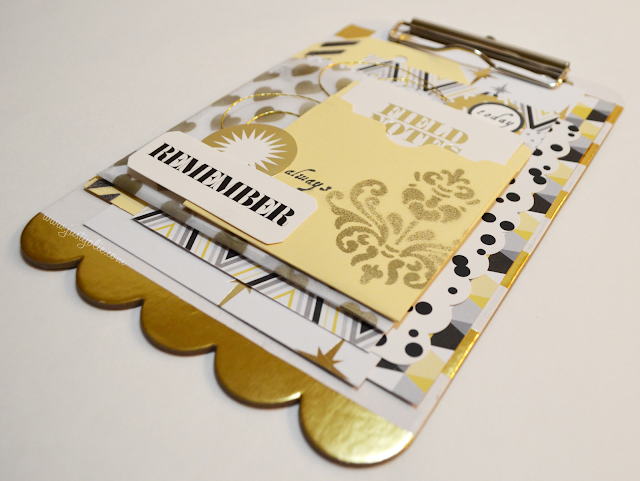 I used different pattern papers, stickers and die cuts from the Wanderlust collection. The tab "today" and the word "always" were stamped with the Everyday Moments stamp set. Additionally, I embellished with gold jewelry string on the back of the library pocket. Here's a closer look. The clipboard was a dollar find at Target and I just love how my Gold journal clipboard turned out. The glassine bag holds journal cards, with the help of the "today" tab, I can easily open the bag to store them. 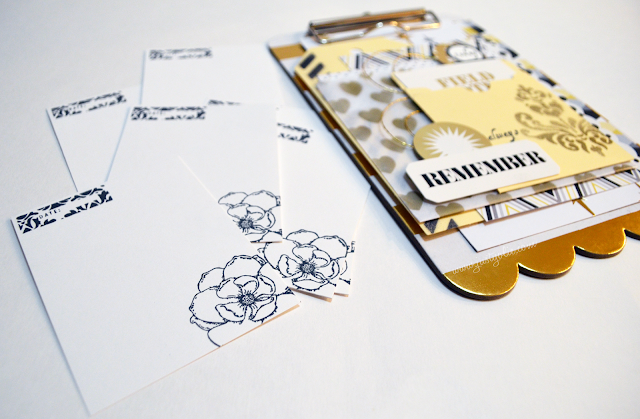 Here is a closer look at the hand stamped journal cards. 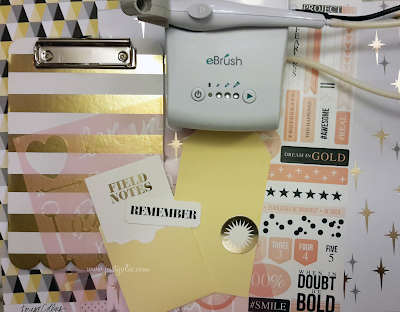 Again, I used the Everyday Moments stamp set.